SMC's fluoropolymer needle valve offers a range of benefits including high chemical resistance. 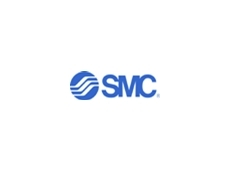 SMC Pneumatics Australia has launched a new fluoropolymer needle valve for chemicals. The new LVN needle valves are an addition to SMC's large range of existing fluoropolymer products for sensitive chemical applications. They are designed to work seamlessly with SMC's LV air operated chemical valves, LQ hyper fittings and TL/TIL tubing. Featuring an integral fitting construction, the LVNs are quadruple-sealed to ensure fluid integrity is maintained. A flow rate adjustment range of 0-12L/min is possible and different tubing sizes can be selected according to specific applications and uses. 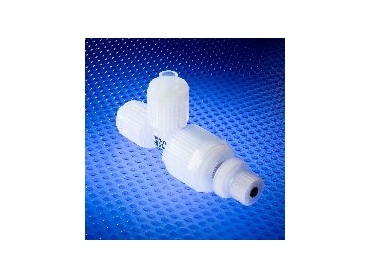 Three models are currently available, offering orifice sizes of 4.4mm, 8mm and 10mm with respective maximum flow rates of 4, 7.5 or 12l/min depending on the model, needle rotations and differential pressure. Proof pressure on the valves is 1MPa, with operating pressure up to 0.5MPa. LVN needle valves can operate in ambient temperatures of between zero and 60°C with fluids ranging in temperature between 5°C and 90°C. Featuring a high flexural strength, the valves have a PFA body, PTFE seals and a PVDF lock nut and adjustment knob. According to SMC, its fluoropolymer range offers excellent chemical resistance, low residual liquid accumulation, high heat resistance and the benefits of clean, greaseless operation.